Creating innovative collaboration cultures is an evolutionary process. These types of cultures are catalyzed and co-created by the quality and duration of customer experiences. OK. This is a Big Idea. That is why you read this blog. And, as we always do, let’s think about it. Together. Shall we? Regardless of the size of your business, the nature of how, when and with whom we work is evolving. These days, we collaborate in-person as well as with virtual colleagues via software interfaces. Those interfaces, in turn, connect us to machinery, with whom we also work. As a result, our conversational, collaboration languages involve a mix of human speak, machine learning and data analytics. As the workplace becomes increasingly complex, workplace communication dynamics must become more laser-focused. Because the goal of innovative collaboration cultures is developing, growing and evolving strong portfolios of extraordinary customer experiences. Is your organization or association looking for a dynamic and innovative speaker on overcoming Us versus Them mindset and professional intimidation and, instead, creating value through cross-functional collaboration? Go to my Speaking and Workshop page to learn more. The 2018 Deloitte Human Capital Trends study deep dives into how the structure, function and anticipated outcomes of our workplaces creates enterprises which serve greater societal purposes. Now that is One Big Idea. Yes, of course the millennials are coming. Where else would they go? However, so are a preponderance of Boomers, who work longer and prevent brain drain. This workplace scenario creates the opportunity to evolve a rich, cross-generational collaboration culture. This culture values and incorporates experiences from the past and blends them with new learning from the present and future. Simultaneously and continuously. Yesterday’s past organizational legacy becomes a critical component of an organization’s future journey. Findings from this year’s Deloitte study showcase that employee expectations from workplace cultures are evolving. Instead of being transactional, expectations are transformational. Rather than employee engagement and motivation focused on crushing quotas, making money and generating profitable financial returns, there is a higher purpose involved. In targeting tomorrow, today’s employees seek collaborative activities which ultimately serve a greater and enduring societal purpose. Tomorrow’s workplaces and workforce co-evolve as a result of aligning both employee mindset with organizational values. Both mindset and values are laser-focused on creating extraordinary and enduring customer experiences. 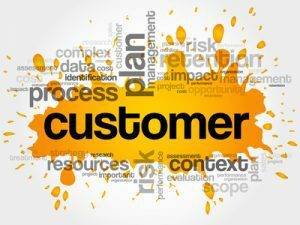 And customer experiences are driven not only by what a company produces, in terms of products and services. Also, customers become successful, and are retained, because they endorse the social purposes with which their partners are aligned. Where does your own organization stand, when it comes to creating a collaboration culture laser-focused on extraordinary internal and external customer experiences? No matter how small the company, corporate values can be retooled and recalibrated. Consider not only the value of evolving the workplace into a more collaborative environment. Also, ponder how that fertile environment generates richer, more rewarding internal and external customer experiences. One millimeter at a time. Today’s One Millimeter Mindset™ Advice: Customers are becoming more selective in creating partner ecosystems of consultants, vendors and suppliers. How can creating a collaboration culture position the value of your organization more viably and competitively, moving forward?